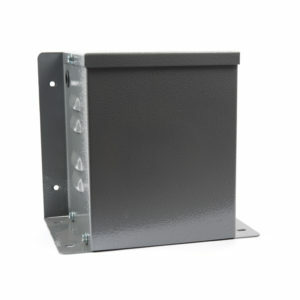 Transformer or equipment enclosure for protecting 2.5kVA to 3.0kVA transformers, components, or other equipment. Ventilated sheet steel with a hammer grey epoxy powder coated finish. 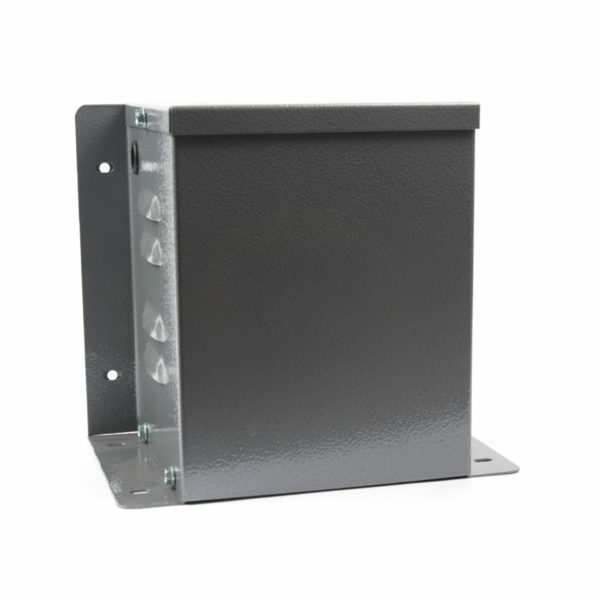 Fixing is via either base or wall mounting flanges. Cable entries are provided at each side of the enclosure.